Dance FM is the UAE's only dance station that exclusively brings you the best in electronic music. Presenting the finest tunes from over a 100 local and international artists including David Guetta, Roger Sanchez, Paul Van Dyke, MRMR and Smokingroove to name but a few. 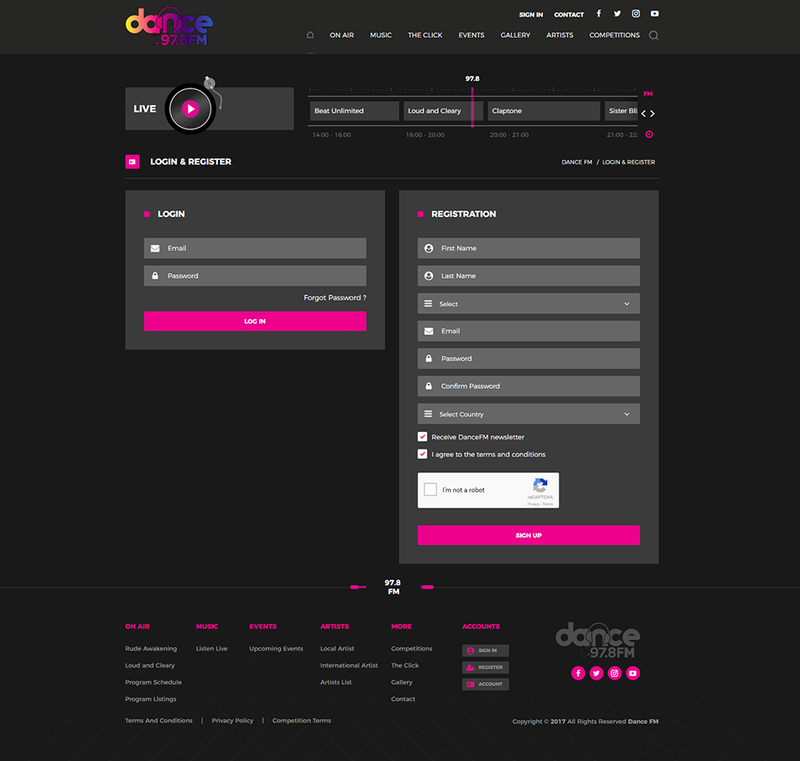 Dance FM needed a website that is aesthetically appealing, easy to use, interactive, responsive, innovative and with the latest features such as live streaming and video streaming. 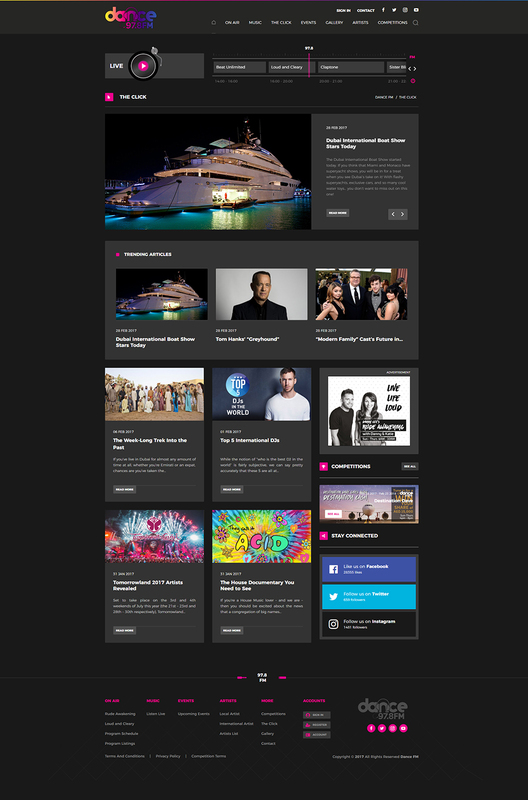 The final design is a dark themed and funky website that exudes youth and energy. The idea was to have every element of the website reflect "being upbeat", "being fresh" and "being youthful". And that is what Dance FM got.